Simply select your subscription length & any additional add-ons you would like. 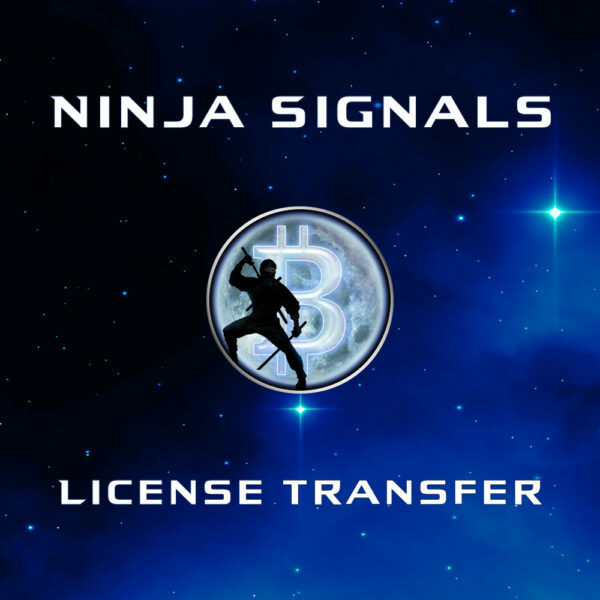 Note: If you have previously purchased Gunbot or TradingView Extension from Bitcoin Ninjas, make sure to select the proper option below to receive your discounted Ninja Signals license. All prices are correctly auto-calculated. If you have any questions, please contact us. Designed for automatic and manual trading with Cryptocurrencies, Forex, & Securities. 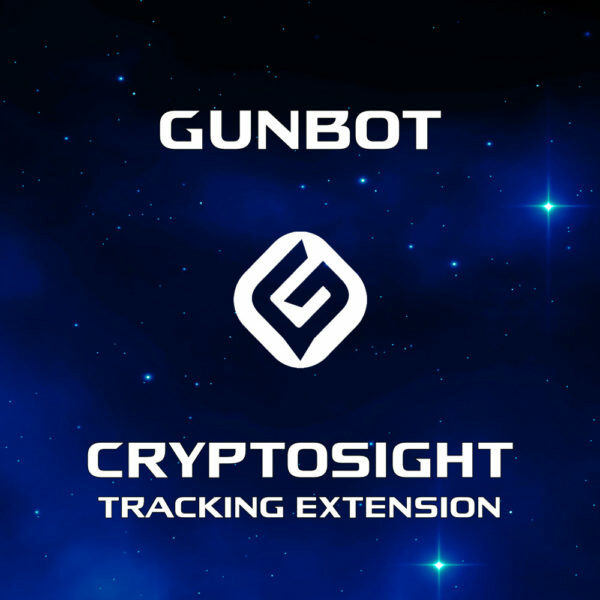 Compatible with GunBot, ProfitTrailer, Autoview and other automatic trading software. Compatible with all assets, charts and time intervals on TradingView.com. 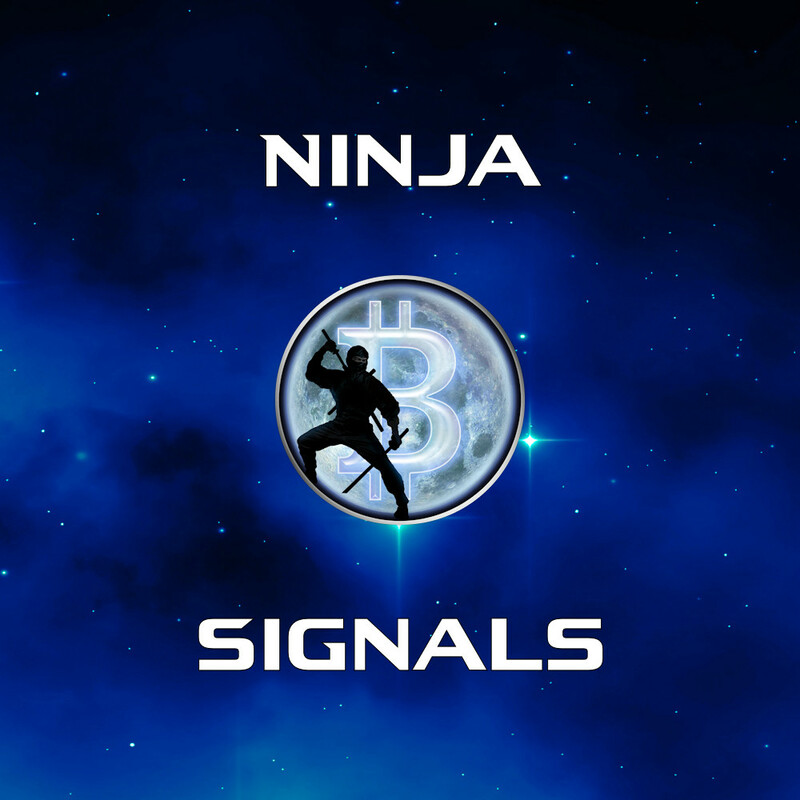 Free 7-day trial for traders who join our free BitcoinNinjas.org community. All script licenses include full access to all 3 versions of our script and backtesting strategy (V1, V2, V3). Supportive documentation is included with all script licenses (including free trials). This documentation is in the form of an instructional .pdf user guide and a detailed tutorial video series. 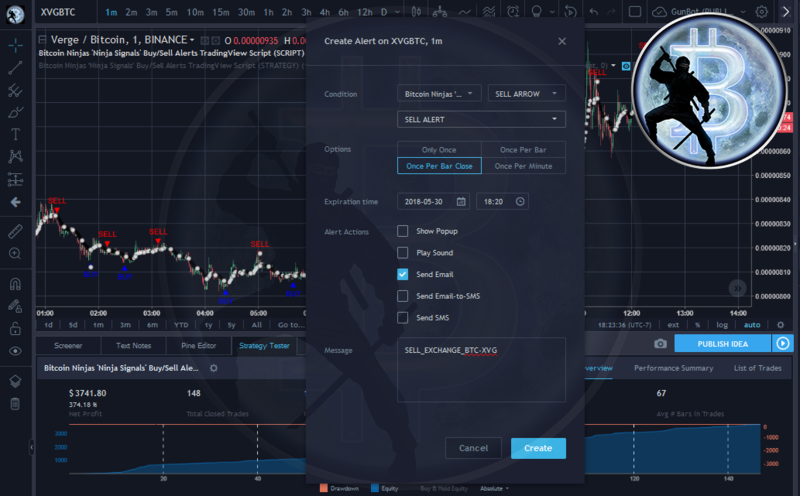 • Allows users to easily set automated buy and sell alerts on TradingView for use with automatic and manual trading of cryptocurrencies, Forex securities, and more (alerts are compatible with automatic trading software such as GunBot, ProfitTrailer, Autoview, and more). • Synthesizes many powerful indicators [e.g. Relative Strength Index (RSI), stochastic RSI, Money Flow Index (MFI), Moving Average Convergence Divergence (MACD), etc.) into one super script to generate very precise buy and sell signals in almost any market condition. • Features many adjustable settings, allowing traders to customize the script for any currency / security on any exchange available through TradingView, simply by changing a few parameters. • Buy arrows (blue), sell arrows (red), and EMA trendline can be changed or hidden for ease of viewing. 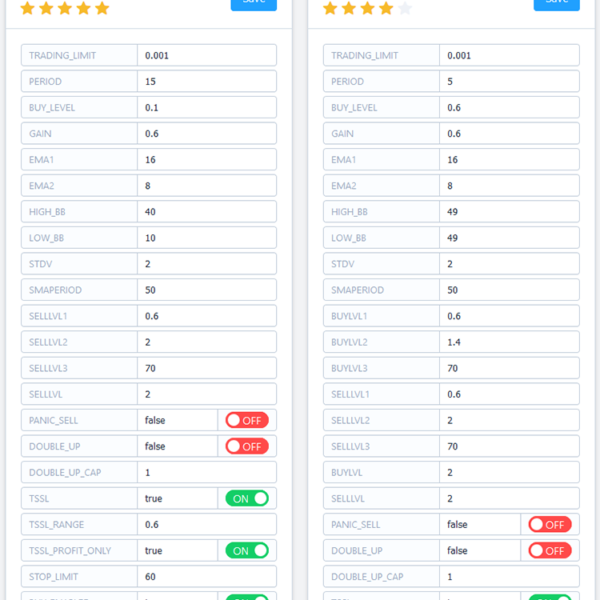 • Complete with backtesting strategy version of script which allows users to test various buy and sell strategies based on the alerts the script generates (see information and screenshots below). • Backtesting strategy features a user-defined adjustable date range, so traders can estimate performance of the script over specific periods of time, such as the last day, week, or month. • Script and backtesting strategy feature many user-adjustable settings including an alertable stop loss and trailing stop, an ‘only sell for profit’ option (strategy only), RSI buy and sell filters, and a downtrend buy filter to help you customize your trading. Simply adjust the numbers and test results will update. • Backtesting strategy allows for pyramid buying to test various average down / double up buying strategies. Simply adjust the number of pyramid buys and the quantity of each buy. • All script licenses include full access to all 3 versions of our script and backtesting strategy (V1, V2, V3). 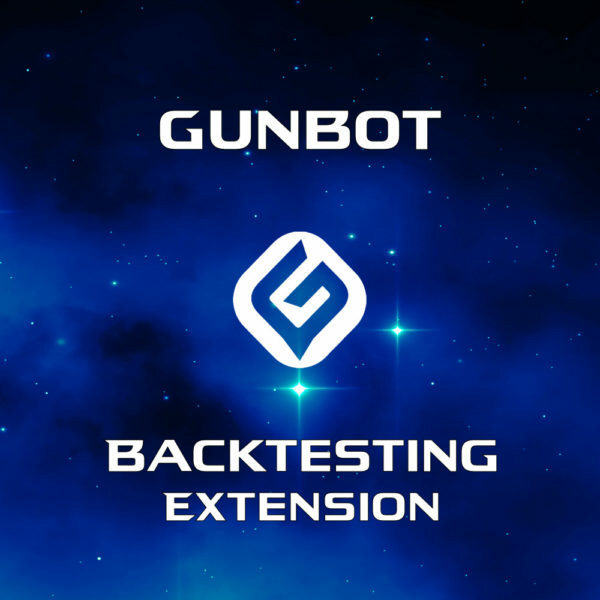 Special discount (20%) is available for traders who purchase Gunbot automatic trading software and the Gunbot TradingView plugin from BitcoinNinjas. *After you have completed all 3 steps, please message us your TradingView.com and BitcoinNinjas.org usernames via Telegram, Email, or TradingView. 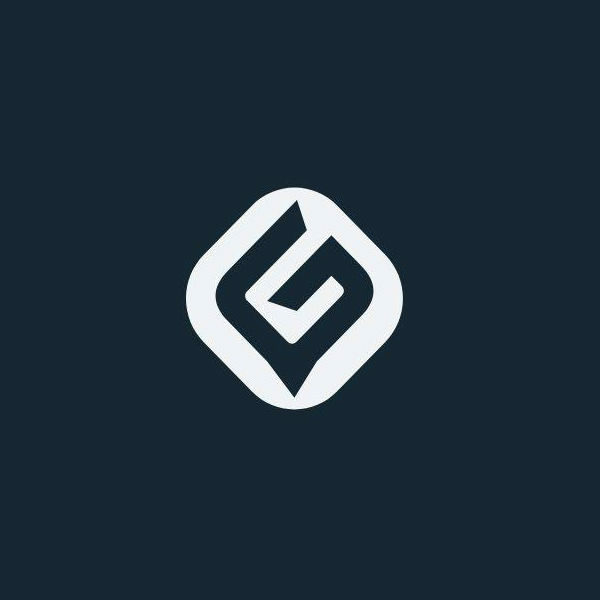 You can use these links to ‘Like‘ and ‘Favorite‘ our scripts on TradingView.